Deficiency of mature lipoprotein fractions, be it the consequence of an abnormality of the apolipoprotein(s) or of a deficient synthesis, can have a significant clinical impact in some cases whereas in others it may go almost unnoticed. The study of lipoprotein deficiency syndromes has received considerable help from the recent advances in molecular cloning both of apolipoproteins and of major enzymes involved in lipid metabolism. 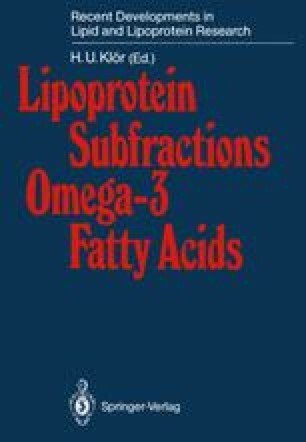 This type of information has allowed the conclusion that lipoprotein deficiency syndromes are very often associated with well-characterized abnormalities in the processing and/or transformation of lipoproteins or apolipoproteins in the carriers.